If you are in the Fort Pierce area, the Miller Property trails boast a host of wonderful sights. 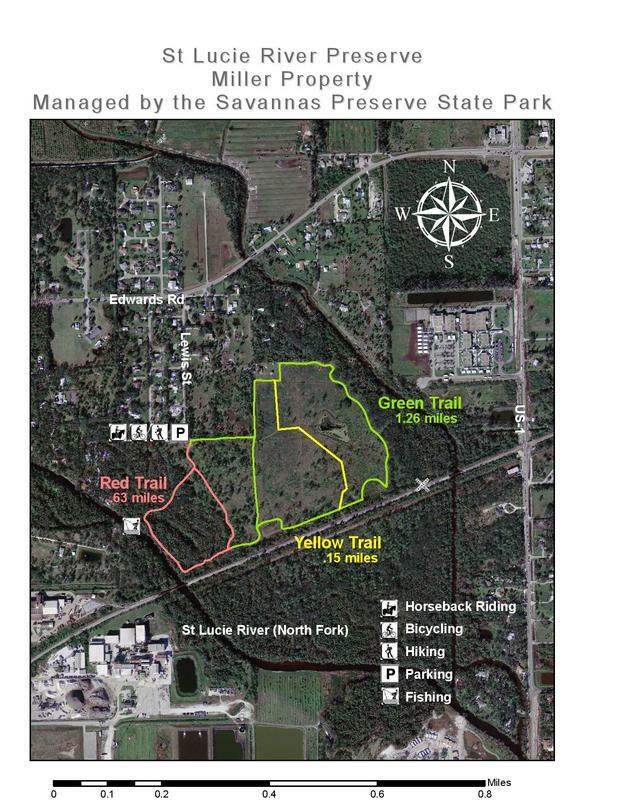 From the hardwood hammock ecosystem that borders the north fork of the St. Lucie River to the dry prairie section of the trail, the property is a beautiful depiction of South Florida habitat. When the Army Corps of Engineers straightened the St. Lucie River they took out the natural oxbows in the river. Recently, on the preserve the oxbow was restored to provide a natural tidal flow as well as native vegetation. Come see for yourself the wild orchids and other wildflowers on the almost two miles of trails in southern Fort Pierce.